Originally founded as a bakery which used its products to create quality food for pets, Quiko has been creating and distributing food, treats, and hygiene products for birds for nearly 50 years. With an initial focus on the avian breeder market, Quiko started off offering its products at Europe’s biggest pet shows. Keeping a constant dialogue with breeders, pet owners, and partners around the world allowed the family-owned company to optimize their products to the needs of pets and their owners and quickly establish an international name. 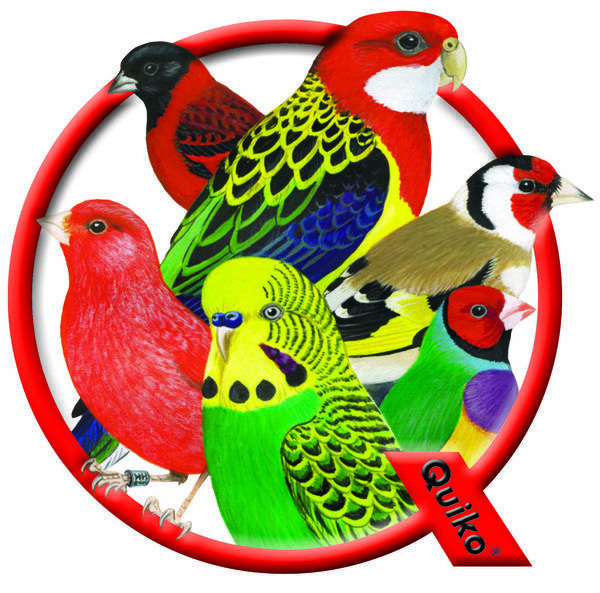 Perhaps most well-known of all Quiko products are its range of vitamins and supplements for birds of all kinds, and products developed for the specific needs of rarer birds like Lories, Red Factor Canaries, and exotic Finches. Today, the Quiko brand continues to stand for enriching the lives and health of caged birds, with its products sold in more than 50 countries worldwide.